Focus delivery on achieving specific, measurable and repeatable performance objectives. The fast-growing call centre industry in the region is in a hurry to achieve world-class standards of performance. Top decision makers, rapidly realising the vast potential for increased customer revenue, are learning that running a call centre effectively and as a profit centre requires the coordination and management of a diverse group of people performing many different and often multiple roles. As each role requires a unique set of competencies and skill sets that must be continuously developed and enhanced, it is imperative that to ensure optimum and ongoing performance improvement, the call centre has access to the services of a dynamic and capable training function. Some organisations are big enough to have a training department and their own in-house trainers. In others, the call centre decides to choose "trainers" from within their own ranks often, as a result of personal characteristics displayed. In these and other situations, the trainers chosen for the role will also need some rigorous, preparatory training of their own. That this is the case is not simply because the call centre is a specialist area and particular knowledge and capabilities are required. It is also true that call centre trainers need to be able to motivate and inspire call centre staff in many particular ways. In short, if you as a call centre trainer cannot convince your audience that you not only understand the call centre "experience" but can relate to the day-to-day trials and tribulations empathetically, then the results of your classroom delivery are likely to be minimal. The INSIGHTS "Trainer the Call Centre Trainer" Foundation course has been carefully prepared with all these factors in mind. It has been built from many years of experience by the staff of INSIGHTS and their access to the resources of their many world-class partners. Presenting with style (and often humor) to ensure that delegates stay involved and want to contribute. Becoming an exceptional call centre trainer is extremely rewarding both personally and professionally. But as with all worthwhile endeavors, the key ingredients to success are hard work and inspired direction. 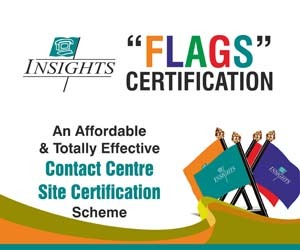 Successful completion of the INSIGHTS Train the Call Centre Trainer Foundation course is designed to put you firmly on the road to call centre trainer excellence. 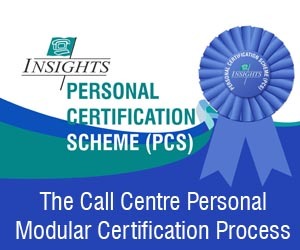 Following this course you will find a host of further INSIGHTS training interventions and services to help you be the best call centre trainer you can be. Special link-ups to online training resources and testing procedures. Limited Seats, Register Today !